Castor oil is an antioxidant oil and anti-inflammatory that is extracted from castor seeds. It is pale yellow in color and has a lot of benefits that come from using it for various applications. 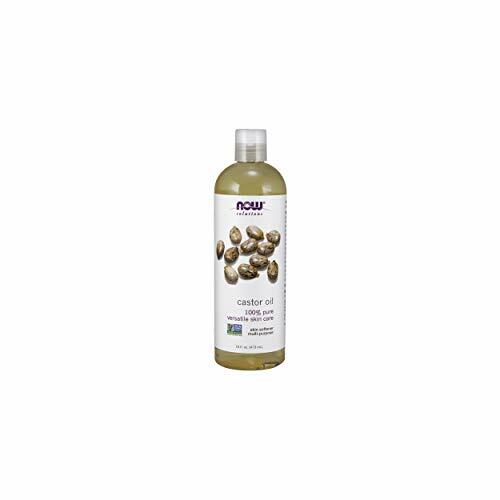 The best castor oil is made from 100% pure, organic ingredients with no additives or preservatives. Our pick, Molivera Castor Oil, is known for its purity and quality. It is made from 100% pure castor oil that is expeller expressed. Castor oil has a very unpleasant taste but it is often used in beauty products including medicines, cosmetics, textiles, soaps and more. If you are looking for a good quality castor oil to use in your home there are some things that you want to consider during the research process to ensure that you choose the best quality product available. The purpose of this buyer’s guide is to provide you with the information you need to be able to determine which brands of castor oil are top quality and which aren’t. Many people use it in a host of home remedy type situations from hair loss to skin conditioners. We’ve gathered three top quality castor oil brands that are great examples of the high quality product you want to purchase. Any one of them would be the perfect choice for your castor oil needs. Molivera Organics provides the highest premium grade of castor oil available on the market. They make it in small batches to ensure the freshest results and it’s made from 100% pure castor oil with no preservatives, chemicals, fragrances or other fillers. It is also Hexane free and suitable for use by those who live a vegetarian or vegan lifestyle. This product is extremely high in essential fatty acids, vitamins and antioxidants. It is often used to improve the look of the skin and hair and has been shown to increase blood flow to the scalp and help hair regrow. It is also popular as an anti-aging product for skin. It can get rid of fine lines and wrinkles and make your skin look youthful and beautiful from head to toe. Molivera sends out their castor oil in UV protective bottle which keeps in all the healing properties by blocking out damaging light. This highly respected and trusted brand stands behind their product and guarantees it 100%. Be amazed with the results or they will refund your money. Sky Organics castor oil has been sourced from India by artisanal farmers from 100% pure, organic ingredients. They ensure that the product passes the highest standards of quality so you know you are getting a product that you can be confident in. The natural, healing properties is perfect for all hair types and skin types. This castor oil has plenty of fatty acids and vitamins that improve the health of both hair and skin that you will be very pleased with. Sky Organics castor oil is chemical free and contains no harmful ingredients or additives. It has been prepared mechanically without using hexane or heat and retains all the healing properties that castor oil offers. 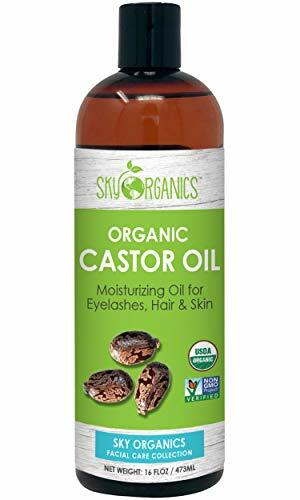 Your skin and hair will absorb all the nutrients that Sky Organics castor oil contains providing you with a transformation that you will be thrilled with. Castor oil is used to treat all kinds of problems with your skin and hair. Due to the 100% natural properties of this product, you can use it even if you have allergies or very sensitive skin. NOW Solutions is a well respected and well known name in supplements of all kinds. This castor oil supplement contains no harsh chemicals and is one of the finest skin emollients on the market. It has virtually no taste or odor and is made from 100% pure castor oil that has been expeller-pressed. Treat yourself to what is considered one of the finest natural skin care products available. This pure product will help soften your skin and improve the condition and look of your hair as well. It is intended for topical uses and comes in a bottle with 16 ounces of pure castor oil for you to use to condition your skin and hair as well as other useful purposes. Castor oil has been used for many different things for decades and even now people are coming up with more uses for it. It has been successfully used for industrial purposes due to the high viscosity it has and the lubricating properties it offers. Even though it is used in many different industrial applications, it is widely popular as a health and beauty aid as well. 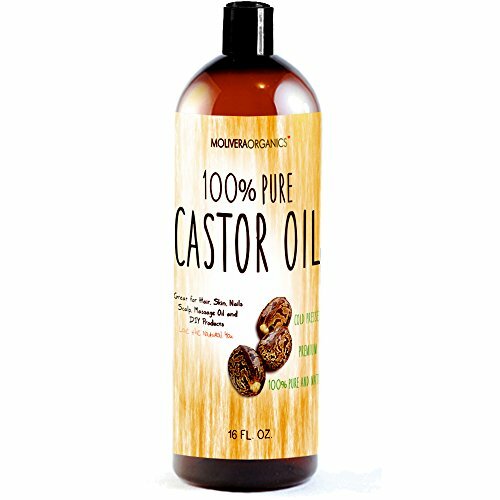 Most people purchase castor oil for use in helping dry skin and hair. It has healing properties that can transform dry, unhealthy hair or skin into something you will be truly proud of. The three castor oil products we have reviewed above are great examples of castor oil products that have the high quality you want. Any one of them will be perfect for your needs. To learn more about castor oil and how to choose the perfect product for your needs, read the buyer’s guide below. It contains information on the things you should look for when researching different brands and types. We’ll also provide you with information on the incredible uses that castor oil has and how it can improve the condition of your hair, nails and skin. Castor oil has many uses that people may not even know about. To begin with, it has been used as a natural beauty enhancer by providing growth, hydration, and texture for your eyelashes, eyebrows and hair. If you are experiencing thin lashes, sparse eyebrows or fine, thinning hair, castor oil can turn things around. It can also be used to improve the health of your nails. It is used to help turn brittle nails that break easily and dry cuticles around so they grow long and strong with healthy, soft cuticles that look great and feel great too. Another very popular use for castor oil is for improving the health and appearance of your skin. It provides all kinds of hydration that can get rid of fine lines and wrinkles, transform dry cracked skin into soft, supple skin and much more. Because it is basically odorless, many people combine castor oil with other essential oils for even more health benefits along with a pleasing scent as well. Below we have touched on many of the health benefits to using castor oil. With all of these great benefits, it is a product that you will want to have among your beauty supplies all the time. Relieves Muscle Pain – Castor oil has been shown to relieve pain and soreness in overworked muscles. If you have spent the day on your feet or have had a particularly demanding work out, rub some castor oil into the tired, sore area such as you calves or thighs. It also makes a great massage oil, especially when you add a few drops of peppermint or chamomile oil to the castor oil. Stimulates Hair Growth – If you massage castor oil into your scalp every night after warming it, you will be able to see a difference in only two weeks or so if you are diligent about massaging the oil in every night. The same results can be seen when you apply it to thinning or sparse eyebrows. Castor oil is a big help to those with thinning hair even from conditions such as alopecia. Because of the anti-inflammatory properties of the product, it can turn this hair loss around and stimulate the hair to start growing again. Enhances the Color of Your Hair – because castor oil locks the moisture into your hair strands you will notice that the strands of your hair get thicker and darker when you use it. All you need to do to get rich, lustrous hair is to warm the castor oil and dip your fingers into it. Run your hands through your hair getting a little oil on all the strands. You will love the results. Just remember not to use too much or the hair will look oily. Moisturizes Dry Skin – Because of the viscosity of castor oil, it is a good oil to use for moisturizing since it stays where you put it. A lot of commercial moisturizers use castor oil in their lotions due to the incredible results it can give. You don’t need a lot, just a teaspoon of oil rubbed between your palms and then rubbed into the skin will do wonders. Putting a thin layer on your skin will absorb quickly with no oily feel. Sometimes it has been used in combination with coconut oil to lighten the texture. Treat Skin Problems – if you have skin tags, acne, or warts, castor oil can help. Applying this healing oil to the growths you don’t want with a cotton ball or Q tip will help get rid of them. You will need to be consistent with your application and keep it up for one to two weeks. Helps with Colic – Colic is no fun and if you have a baby with this painful condition, you have spent many hours trying to console a baby, sometimes to no avail. The good news is that castor oil can help this condition. Apply castor oil to the baby’s stomach area and gently rub it in. Research has shown that the baby will get quick relief from the pain of colic and will fall asleep soon after application. Skin Problems on Animals – If your dog or cat has wounds or skin problems that they just won’t leave alone, castor oil can help. The anti-inflammatory and antimicrobial properties help heal the wounds faster and since the dog or cat may hate the taste of the oil, it could help them leave it alone so if can heal. A close cousin to the traditional castor oil is known as black castor oil. It is used for all the same purposes and reasons regular castor oil is but many people believe that black castor oil reaps faster, more efficient results. The main difference between black castor oil and regular castor oil is the way it is processed. Black castor oil is roasted, crushed, boiled and pressed. It is the roasting step that makes the color and smell different. You can use black castor oil on all the same things you can use regular castor oil on with great results. Which type you use, black or regular, is up to personal preference. Castor oil has so many uses that it may surprise you that you haven’t always known about the healing properties it offers. It can have a laxative effect if taken orally so unless your doctor recommends it, the uses we are talking about in this guide are topical, mostly for the skin, hair, nails and for getting rid of things like skin tags, warts and other problems. Choosing the right castor oil is very important to reap all the health and beauty benefits that it offers. With all the different kinds of castor oil available on the market, choosing the right one could be difficult if you don’t know what to look for. There’s not a lot to castor oil in terms of ingredients. You want to look for the purest form you can find with no additives or preservatives. If you want to add essential oils to it yourself that is fine but don’t purchase castor oil that already has fragrances or other ingredients in it. The main thing to remember is to look for reputable brands and purity of product.